Previous editions held debates on themes such as: Design is pure lust, Life in design and Urban design, Production and Design, Promotion and Sales in Design. 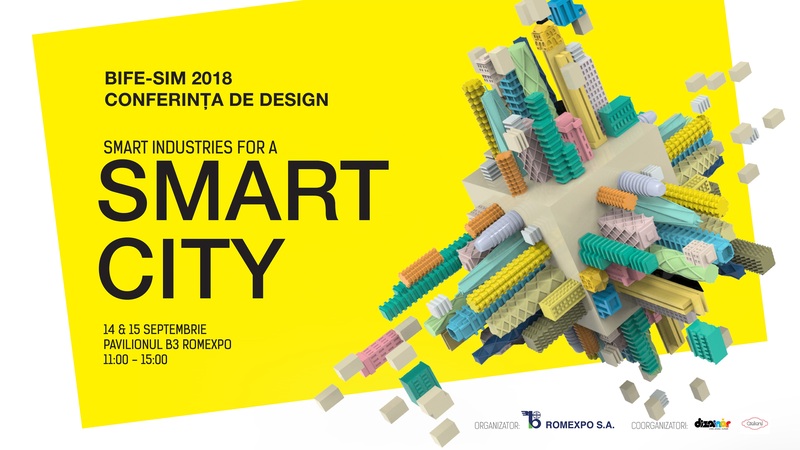 The Design Conference will be held on the third and fourth day of the BIFE-SIM International Furniture Fair, where 10 speakers will be expected. The BIFE-SIM will take place in Pavilions B1 and B2, between September 12-16, 2018, where more than 350 companies are expected to exhibit on an area of 30,000 sqm and the number of visitors to reach about 25,000 people. Smart cities no longer belong to the future, it is the present. The term Smart City refers to cities that are intensively appealing to new "smart" technologies to improve public services, increase the level of comfort of citizens in rural and rural areas, improve resource consumption and reduce medium and long-term spending. A "smart" city is a city that gathers information and uses modern technology to streamline traffic, improve public transport, reduce pollution and energy consumption, the relationship of citizens with authority, living conditions and the health and education system. In short, a city that uses technology to improve the lives of residents.